remote Viewing news & blogs - week ending 5 October 2012. 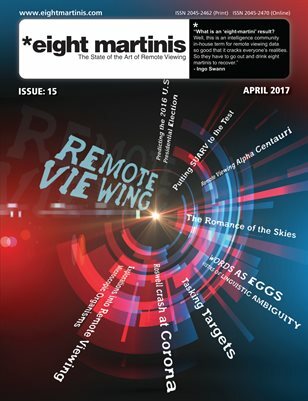 A Round-up of the weeks remote Viewing news & blogs – week ending 5 October 2012. PARAPSYCHOLOGY How to Remote Viewing How to Evidence. this week four remote viewers submitted BLIND CRV sessions. take a look here at the great results! Psi in the News – PSI news roundup. Courtney Brown will be on ‘The bright Side’ show – Sunday 7th Oct, 2012. PreviousPrevious post:Remote Viewing news – week ending 12 Oct, 2012.NextNext post:Remote Viewing news – week ending 28 September 2012.